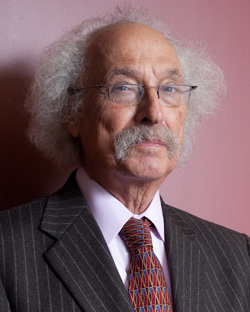 Jeffrey Traub, Esq. graduated from The St. John’s University School of Law in 1970 and has devoted his career to defending those accused of criminal conduct by representing individuals at the investigative stage, arrest, prosecution and appeal. Mr. Traub began his career with The Legal Aid Society of New York, working in Manhattan for six years defending individuals on a wide range of criminal allegations, after receiving in-depth training in all aspects of criminal law. He was selected to be part of the Legal Aid’s elite narcotics defense team, where he developed expertise in search warrants, wiretaps and search and seizure issues. He was given an “A” rating at The Legal Aid Society, being deemed “most qualified” to try all phases of criminal defense work. In 1977, Mr. Traub left The Legal Aid Society to form his own firm and in 1983 created Traub & Traub, P.C. together with his partner, Doris G. Traub. He has received special training in the handling of capital murder cases, where he honed his trial and negotiation skills. Mr. Traub has continued to represent those who find themselves charged with crimes in matters including homicides, drug-related arrests, search and seizure issues, employment-related investigations and arrests, embezzlement, money laundering and other white collar crimes. He represents clients on criminal matters throughout the greater metropolitan area in both the federal and the state courts. Mr. Traub is admitted to all of the courts in New York State, as well as the United States District Courts for the Eastern and Southern Districts of New York. He is a member of The New York County Lawyers’ Association, The Brooklyn Bar Association and The Criminal Bar Association.